To this day sailing is one of the few sports in which men and women can compete at an equal level within the same races, yet it is still a commonly known fact that the industry remains fairly male dominated. 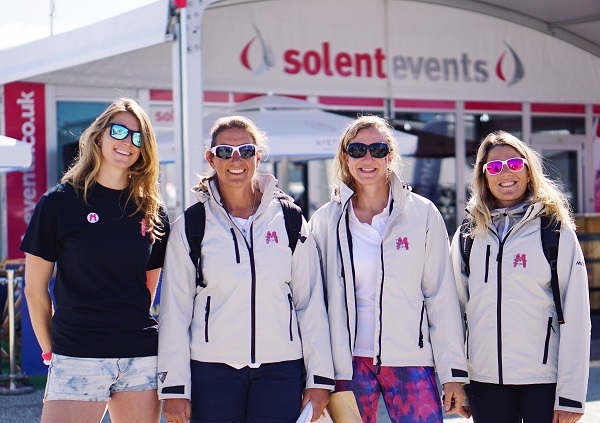 At Solent Events, we like to encourage a balance, giving women the confidence to try sailing and perhaps even pursue it as a career. The nature of our events encourages everyone to throw themselves into something that is often new and does not discriminate between gender or age. We ourselves are fortunate enough to employ many incredibly talented female skippers, mates and event staff who are passionate about the world of sailing. 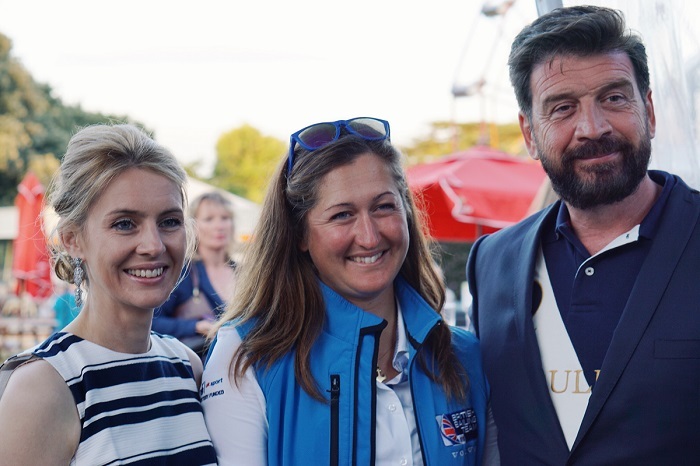 For eleven years, the organisers of Cowes Week have made it their goal to celebrate and support women in the sailing industry, culminating in the annual Ladies Day Party at which the Ladies Day Trophy is awarded. 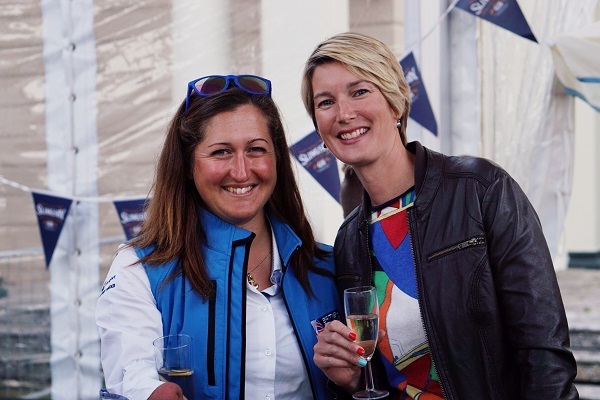 The event, hosted this year by Slingsby Gin, was all about highlighting achievements and bringing together women from all areas of the sailing industry for ultimate #GIRLPOWER. 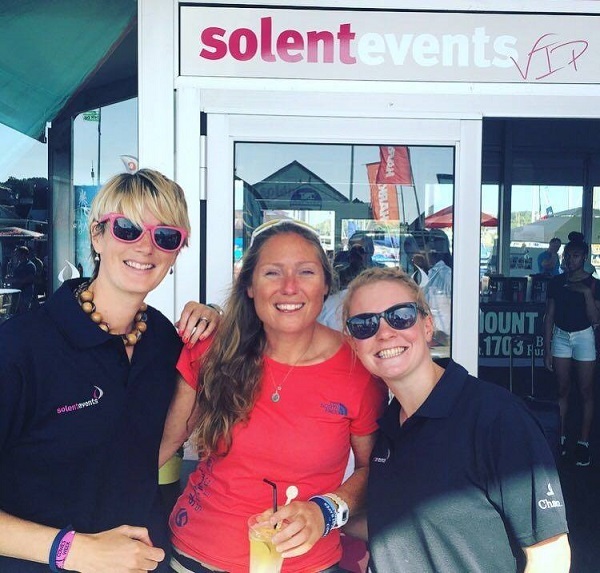 Team members from the Magenta Project stopped by our VIP Marquee (above), as well as a regular favourite Solent Events Skipper Mary Sutherland (center below) who had not long completed a 48 day row across the Atlantic Ocean in the Rannoch Women’s Challenge! At the Slingsby Ladies Day Party, guests were treated to delicious cocktails made from Slingsby Rhubarb Gin and Fever Tree’s Sicilian Lemonade on the lawn in the August sunshine. 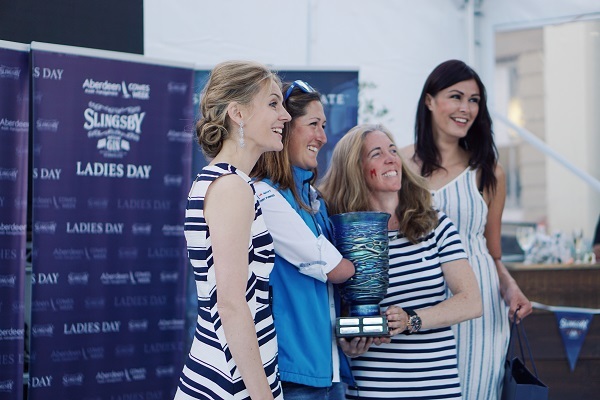 Marketing Director for Aberdeen Asset Management Kate Johnson, 2015 winner Libby Greenhaigh and Slingsby Gin Marketing Manager Amy Mcleod took to the stage to announce the winner; Paralympic Sonar keel boat class Sailor Hannah Stodel. Hannah has competed in four Paralympics and with a campaign for the biggest challenge in offshore single handed sailing, the Vendee Globe around the world race on the cards, Stodel will compete on a level playing field with many of the world’s best sailors. Accepting her award, Hannah explained how encouraging this recognition was ahead of the 2016 Paralympics in Rio. Despite unfortunately not receiving a medal, she and her teammates John Robertson and Steve Thomas placed an impressive ninth overall. Winner of the Slingsby Ladies Day Trophy Hannah Stodel with our very own Michelle Ansell who found a few moments in this very busy week to celebrate women in sailing! Many thanks to Cowes Week Ltd and Slingsby Gin for inviting us to be a part of the Ladies Days celebrations. To discover more about The Magenta Project and their campaign to support women in professional sailing, click here. ← Land Rover BAR win the America’s Cup World Series!